Alright, so it's almost 10am, I've been up all night, just setup my 11th server on my current system and I figured I'd share some things with everyone in benefits of running a good server. Now there are requirements, and if you can't abide by at least one of them, then I can guarantee you won't get the results you're expecting. You may already have a server in mind, e.g. CS:S, TF2, whichever. You're going to need to know what you're doing and how to set it up correctly. Any faults can incur instability, and player loss. A player does not want to see a server that isn't maintained successfully, they will leave. Something I've learned from previous experiences, is if you're going to setup your own game server, work with the files before you actually make your server completely public. My suggest, is setup a small test server on your home computer which is what you're then going to put onto the game server in mention. This benefits you by not having to upload something every 20 seconds, changing it, restarting, joining, connecting, and repeating the same process. All you would need to do on your test server is leave the folder open, edit, save, and join. Simple! It's even better if you have extended monitors and run your game in a window. Personally, I say don't change anything in your server.cfg aside from server variables such as: alltalk, team balance, start money, etc. Never mess with rates unless you have a dedicated or virtual server. Messing with stuff you don't know about will cause more instability than you can figure out. Especially if you're running a CS:S server after the orangebox update, the settings you would need for instance in a bhop server, you will go nuts trying to figure out unless you know what you're doing, because standard settings without a plugins help will not work unless your players have double digit steam id's and know how to bunnyhop. You should always stay away from mani admin plugin. REGARDLESS of how easy it is to use and setup, you'll be inflicting more harm on your server than you would inflict confusion on yourself by trying to setup sourcemod. Mani admin hogs up just about as much CPU usage than your server does, and is exploitable and very unstable. Sourcemod is the next best full admin plugin, and you can add additional plugins to it as well for even more features. The possibilities for it are endless, and unlike mani admin, it is supported by far much more games. You should also stay away from running eventscripts, also es tools. You can find just about any addon eventscripts has as a plugin for sourcemod. es tools is exploitable if you're running mani admin along side of it, so stay away from it. Go with a host a large amount of popular clans use. I'm not talking about hosts that attract a lot of customers, I mean a lot of popular clans in general, though most popular clans have dedicated servers now. For instance, use NFoServers.com - You won't regret it, I promise, and I say that not only as a customer, but as a regular person just speculating it all. NFo hosts the most popular clan servers for what you would find at say counter-strike.com for about $5 more, but 5 times the quality for a game server. You'll also get free web hosting and a free voice server. You ALSO have the option of changing the FPS of your server. orangebox servers can reach 10,000FPS on their linux kernels if you're really desperate, and yes, I said 10,000. They also have great VPS/VDS configurations if you have a medium levelled clan. I'm not talking about a clan with 500 members if you're looking for a good price on one, for instance 30-50 regular playing members. I've tested everything up to the 6 core, and they can handle far much more than it says. NFo is also very honest, and fast. John runs a very successfully company, and even for about 7 support reps, they are very fast and always there, and always know how to sort the issue out. Only buy an NFo dedicated server if you have an extremely large clan, and money is not a problem, you're going to be paying for hardware you don't need otherwise, but it is still a very low price for that configuration. As a side note, always avoid artofwarcentral.com - period. Unless your hosting a server for a game such as garrys mod, left 4 dead, killing floor, etc, your players aren't going to randomly come! You're going to need to populate your server. This means it's time to get in your server, invite a moderate amount of friends to play with you (LOL!) and you will say players come in one by one. After setting up our 11th server just now, we reached 15 players at once in barely an hour, and we started off with 3 players, no bots. You should always avoid keeping bots on your server at all costs. NO player wants to join a server and find they have to play with bots until someone joins. Only use bots if you would like to have a team balance on, meaning allow a player to join yet still have someone to play against. Or if there's 3 players, 1 bot to keep the teams fair. I personally prefer to use bots, it helps if your clan isn't large, and I reached 30 members just yesterday in two weeks. Scrimming/Matching is a good way to build your rep. If you're on a league/ladder, that's even better. If you're a good player, members of the other team may be interested in joining in the future. I've witnessed it, I've had it happen, in fact I've done it myself and it was fun as hell. However I would recommend staying off ladders. Players may look down on you as you're taking on an easy challenge. The best place to start is finding players on ESEA. You are always going to want to stay away from linux virtual servers unless they're powerful/configurable. Most linux virtual servers today come with standard shared CPU and 256MB ram. That'll run about 2 players on a standard server. Go for something you can stay with at a reasonable price, which goes back to NFo. At NFo you can change your servers configuration at anytime if it's a virtual one. You can even setup COD/BF/ARMA game servers on an NFo virtual, but it would have to be a managed server. The prices are ridiculously low for the configurations, and I highly recommend choosing NFo for that cause. You are also given a two day free trial with instant setup. If you're looking for a dedicated server, never go for a bargain host/server. This means stay away from hosts offering a large discount on their servers. You're just buying a, if you will, powerful server, but on an overloaded network. You're also going to want to stay away from a middleman. Middleman means customer - provider - datacenter. Do customer - datacenter as best as you can. However, be aware, buying directly from a datacenter such as gigenet will cost you more, as providers receive reseller discounts if they make a sale on a dedicated server from the datacenter they choose. A good configuration to start with is a Core2Quad with 8GB of RAM. It's what a majority of hosts use now, and it runs quite well. I would recommend colocrossing for this one. Windows Server 2008 is the right OS to choose if you're looking for windows based performance server. With 2k8 you can reach 1000FPS. with 2k3, you can reach 500FPS. However, win2k8 requires more usage for its standard boot with nothing running, as 2k3 does not. 2k3 servers will perform much better if the system is not overloaded. If you have your own linux server, you can edit the kernel and reach as much FPS as the server can handle. It's been done before in many rare cases and is still being done. However keep in mind, it's going to require you having a powerful server. Never go for a server that costs more than 1/4th of your house. You're overpaying. For instance, counter-strike.com - who uses AMD Athlons for game servers anymore? Especially with a little amount of bandwidth and RAM at the same price of two copies of MW2. I would recommend you choose softlayer or gigenet. The price of server hardware today is a lot cheaper than it was 10 years ago. A P4 in 2003 would cost just as much as a Core2Duo does today, plus more for bandwidth. Don't host a server from home. Just don't do it. Players want to see servers that are up 24/7 in their favorites so if they like it, they can always play. Hence why all of my servers have 24/7 right in the title, they're ALWAYS running! Your ISP may not even like the fact this is what you're using their servers for. I'm lucky my ISP even allows me to run a web server and mail server at once. That just about wraps it all up. If you ever need advice or more clarification, don't hesitate to come to me! 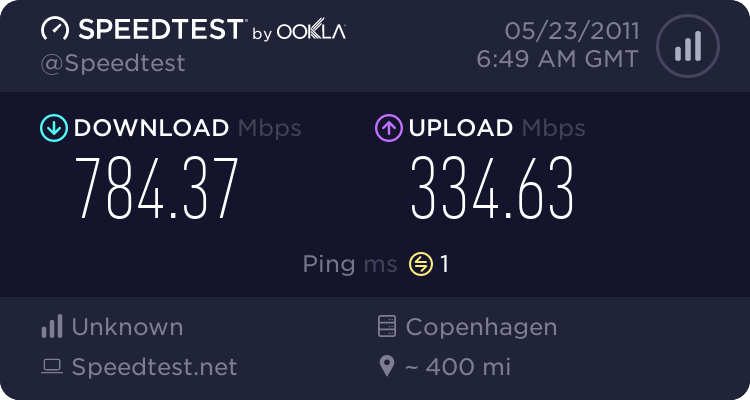 Regarding the home hosting.. some people do have a decent internet connection and I've seen better home connections, both cheaper and better in quality than those provided in a datacenter. Which is why I only talked about having the server up 24/7 instead of talking about how crappy your home internet/computer could be For all you know a great server could be hosted from home, but it may not be 24/7 due to peak changes in bandwidth speeds, power outages (which happens often some places, especially if you don't have 220 Wiring). May be hard for someone to have a microwave and a server/switch(if needed) running at the same time in the same area of your house. If you think that's bad, I run my main PC, two monitors, a laptop, then the networking equipment. They're on all day every day. I might be in the more "greener" part of this forum. Power usage is a high priority in my world, and therefore i mostly use my laptop. Also, my rackserver is a very "green" server, using just 110 Watt when everything is on 100% load. I'm green in the aspect that I like to save as much as I can on electricity bills... I try to keep all my rack servers below 1amp draw on 115V. I honestly, do not care about how much power I use at all. When it comes to a server especially, most of the servers that are "green" or "Eco-friendly", are recycled, aka paperweights, that have no real feeling and shouldn't be used for performance reasons, but for simple things such as a web server. (10-31-2010, 12:50 AM)rlm850 Wrote: A good configuration to start with is a Core2Quad with 8GB of RAM. It's what a majority of hosts use now, and it runs quite well. I would recommend colocrossing for this one. Is SRCDS a 64 bit application? If not, 8GB will be a waste, as a 32bit app will not be able to allocate that much RAM. In that case, I'm assuming you don't mean 2k8R2 (which is x64). I'm curious, I've been toying with different OS's for on a dedicated test box. I'm currently using win7x32, which is a similar kernel to 2k8x32, but having mixed results with it. Are there any advantages to a linux based installation? I'm much more of a Microsoft guy, but I've had to do a little Unix stuff in the past. As I recall it, SRCDS is a 32bit application. But you may run more applications at once and therefore 64bit operating systems might become useful. You could just purchase a population package. There is a service that pays gamers to come populate your server.